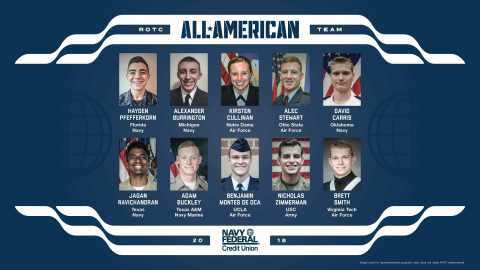 Smith and Cullinan were two of 10 senior students evaluated by a judging panel comprised of ESPN’s Sage Steele and two Navy Federal representatives. Both will receive a $6,500 scholarship and their ROTC programs will receive a $7,500 enrichment donation, to be announced live on ESPN December 31 at the Military Bowl. Helping its members succeed and achieve their goals is a top priority for Navy Federal. The credit union offers a variety of educational resources on personal finance to foster success for its membership at large. About Navy Federal Credit Union: Established in 1933 with only seven members, Navy Federal now has the distinct honor of serving over 8 million members globally and is the world’s largest credit union. As a member-owned and not-for-profit organization, Navy Federal always puts the financial needs of its members first. Membership is open to all Department of Defense and Coast Guard Active Duty, veterans, civilian and contractor personnel, and their families. Dedicated to its mission of service, Navy Federal employs a workforce of over 18,000 and has a global network of 326 branches. 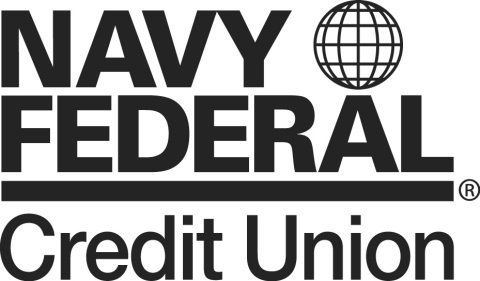 For more information about Navy Federal Credit Union, visit navyfederal.org.